The stage is set, and the excitement is palpable as 849 IDEA high school seniors prepare to take their first step towards writing a brand-new chapter in their academic careers. We are proud to celebrate our students’ long-standing commitment to receiving a post-secondary education with a series of presentations in observance of College Signing Day 2018 this week. 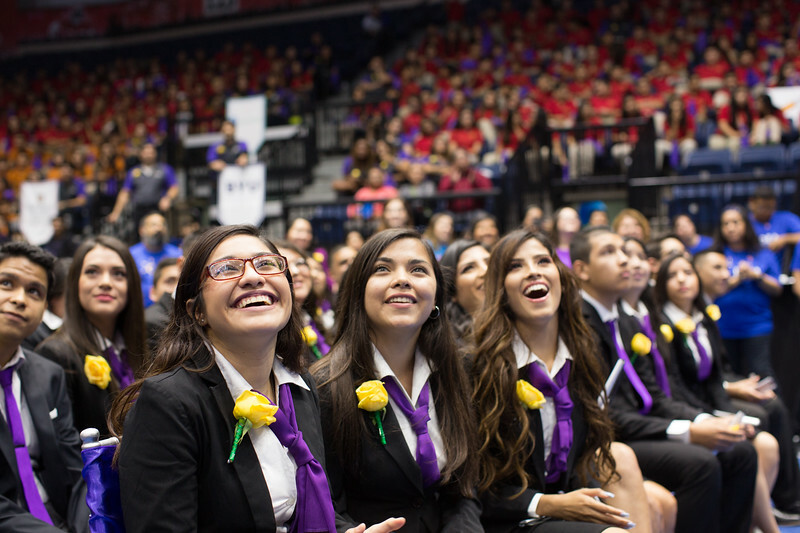 The State Farm Arena in Hidalgo, Texas will welcome approximately 18,000 guests as families, educators, distinguished guests, and the community gather to commend graduating seniors on their decision to further their education. During the event, students will have the opportunity to publicly announce where they will officially be attending college this fall. In addition to recognizing the hard work and dedication each student has displayed in the culmination of their secondary education, the presentation also serves as a school spirit day to build excitement around the process of selecting and enrolling in college—especially for younger students who will make similar decisions someday. 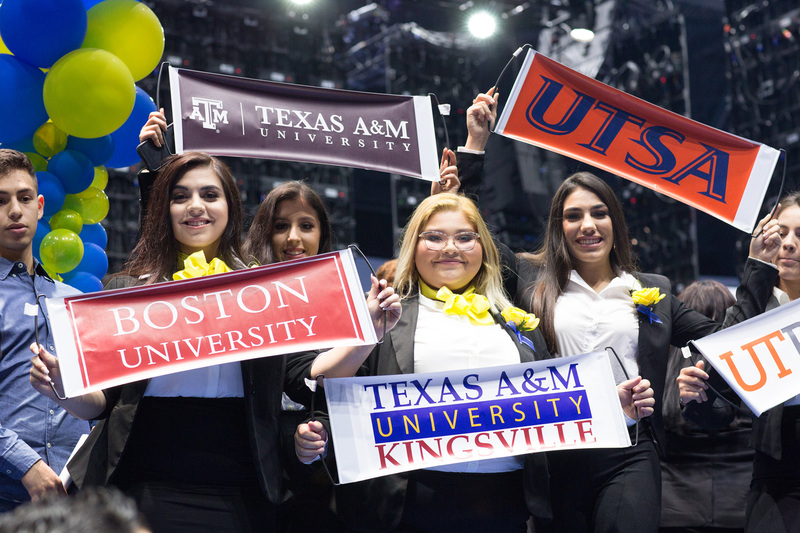 Students from this year’s graduating class will accept spots at Cornell University, Brown University, Columbia University, Rice University, University of Chicago, University of Texas at Austin, University of Texas Rio Grande Valley, George Washington University, and more. April 26 – 10:00 a.m.
April 27 – 10:00 a.m.
We would like to congratulate each member of the graduating class on this momentous occasion and invite the community to help celebrate the collective success of the Class of 2018! Persons unable to attend the College Signing Day 2018 presentation may watch a live stream of the events at http://www.ideapublicschools.org/csd2018 or on the IDEA Public Schools Facebook page at www.facebook.com/ideapublicschools/. For directions to the State Farm Arena, please click here.